I think that most people who are trying to figure out what's the best way to eat may occasionally experience some mishaps. Perhaps you have slowed digestion from a meal made of nuts, avocados, or durian. Or maybe it was from poor food combining like nut butter drizzled on bananas and dates. Or it could be that you found out the hard way that your stomach doesn't digest brown rice as well as you thought it would. 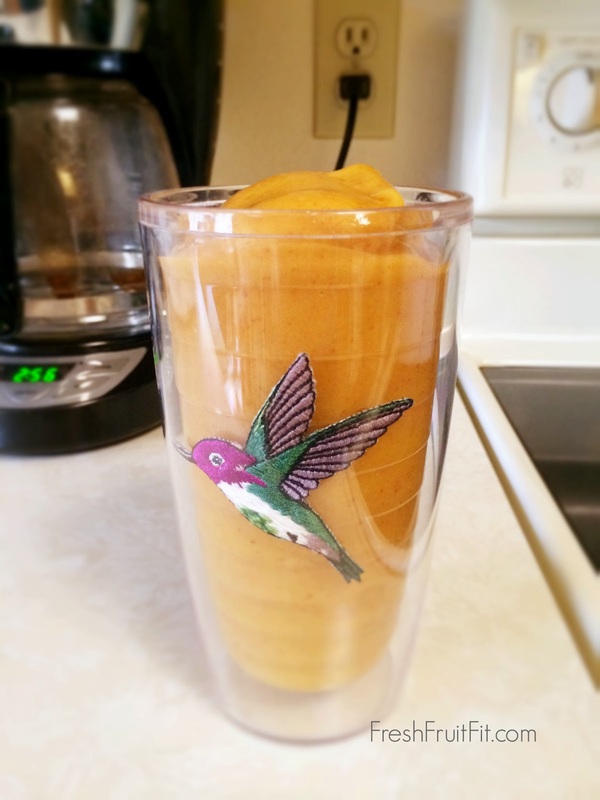 Whatever the reason for your indigestion or bloating, I think you'll find relief with this Mango Serenade Smoothie. Best served for breakfast about 20 minutes after drinking a tall glass of water. So why is this smoothie so good for you? One word: Fiber. I'm not talking about the fake fiber supplements that can actually harm the intestinal walls and deplete some vitamins/minerals. On the contrary, this smoothie has a symphony of vitamins, minerals, water, and fiber! The perfect combination, the way God intended in nature. It will cause your tummy to sing! When I took the pictures for this recipe, I was making it for two adults who would drink it over the course of 1+ hours. The recipe below is only for 1 adult. Feel free to make less and vary the ratio of ingredients to suit your taste and texture preferences. 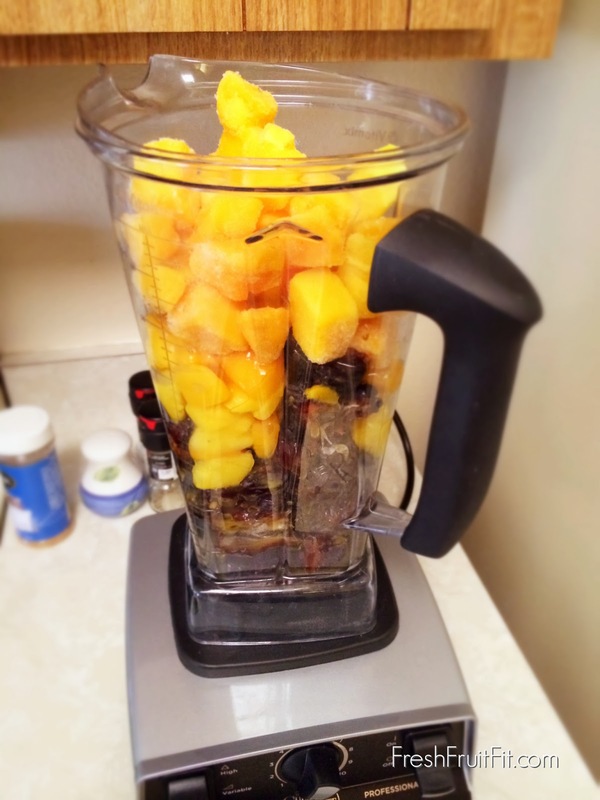 Pit the dates and place in the bottom of the blender, then add the mango. Add enough water to cover the dates by at least an inch. Blend, adding more water to reach desired consistency. Enjoy! *Tips: If you buy organic dates, be sure to check for little buggies. Don't fret if you find them though! My philosophy is that if the buggies won't eat it, maybe I shouldn't either. Also, if you don't have a high speed blender, be sure to soak your dates first. If that doesn't work, then you can blend half the dates with some water, slowly adding more dates and water as you continue to blend. After the date/water mixture gets to a creamy consistency, add the mango and a little more water then blend. That's what I'd do when I had my 20+ yr. old Osterizer blender. It worked just fine! Thank you. This is good to know.